Your favorite original short film commissioned, licensed, or produced from a game developer and/or publisher. *Youtube link included for those who would prefer to not stream video from the Steam client. Well, let me be the first to state that I think that the analyses related to global politics, trade agreements, and economy based on specific, adequate algorithms clearly indicate that Brexit will result in a net *********** (negative/positive [u can choose]) for all affected parties. This film has so much of it in, I just love the developers! My favorites have already been mentioned so… does this count? While I don’t have a favourite, and this barely holds the standard since Seb Mckinnon is an ilustrator for Magic the Gathering, his short films fall into niche and interesing game related things I would say. As if I wasn’t already in love with Laura Bailey, damn what a talented woman. Varok Saurfang for Warchief, need I say more?!? Last expansion I played was WOLKT and I still though those two videos were great. I did showed them to people who never or barely played WoW even, to a great welcome. But I remember clearly how even after the BC I went “Wow, ok, maybe they can top this”. I never heard about that movie, do you think is worth a check? Officially made stuff. Well, I know a lot of fan-made stuff but that’s 99% of what I know are actually good. If I had to force myself, I enjoyed a very very old series for Mabinogi. It is innocent, clean, and pure as white snow. And can we enjoy Super Mario Bros? 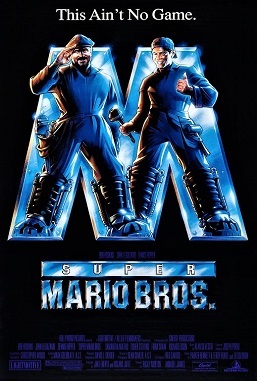 Though I probably enjoyed it because at the time there were so few video game movies. Which makes me wonder when a Samus movie will ever be made. Yes, but can we also enjoy Double Dragon too? As a wee hormone powered libidinous lad I probably enjoyed it because at the time there were so few video game movies and this one had a 22 year old sexualized Alyssa Milano ,“rawr”. A live action Metroid movie would bomb, as would a television series. A animated series, in the vein of Castlevania (get it,vein,haha), would do well on Netflix in my humble opinion. And then, and then… there can be a extended crossover universe series, yeah, Metroidvania!!! If you ever played the original flash-based game I think you’d agree they did a great job of adapting it, even including some of the original music. If we are enjoying Double dragon, you know what that means we REALLY have to enjoy?? 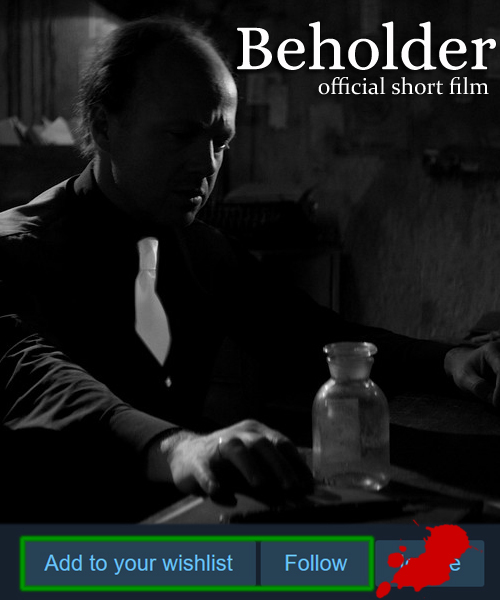 The Ministry of Cinema is here with a quick reminder: Beholder - Official Short Film is now available on YouTube!